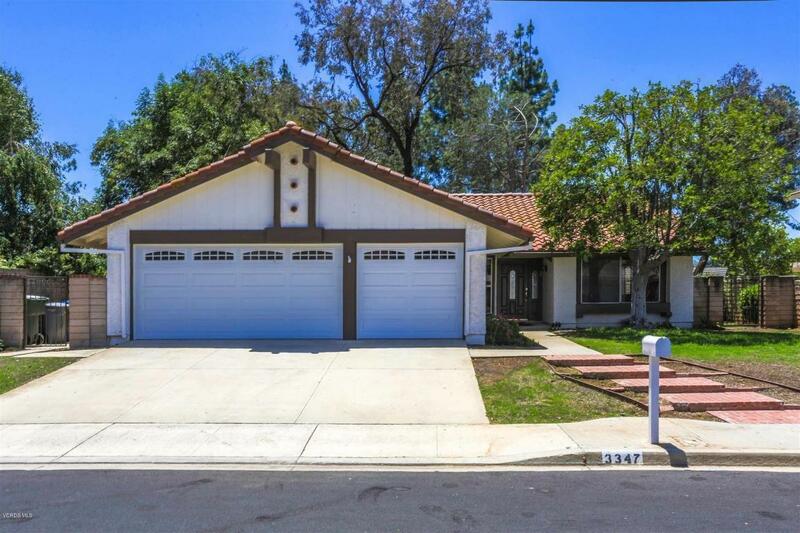 A fantastic opportunity to own a family home in Thousand Oaks. This spacious 3 bedroom, 2 bath single story home has been recently updated & is approximately 1635 interior sqft and is located on a cul de sac street with excellent curb appeal! The open floorplan is ideal for entertaining with both a formal living room, dining room & a separate family room. The tastefully appointed kitchen is clean and functional. The master bedroom has direct access to a backyard patio. Another patio is located off of the family room which also has a fireplace. The home has a separate laundry room & a Shop-ready three-car garage; with a permitted 100A subpanel w/220v. The north city location is ideal for the family or commuting professional. A great opportunity to own a home here in the Conejo Valley!